I think that is why he wants Christian around. He want Christian gone final 5, because he has been doing well at immunity. People aren't paying attention to that because they are too worried about Christian. And now it looks liked they will be worrying about Nick too. I don't know why more people aren't concerned about Kara. Kara is a great player. She let everyone think Dan was the leader and she's under the radar. She uses her social skills to her advantage. People praise Christian for his social game but Kara's is way better. I mean production gotta hurry up and give their favs the idols before its too late. He's smart in real life but his *** would have been blindsided this week if Davie didn't help him. If you're easily seen as the biggest threat then you're playing wrong. So I guess people telling you about a blindside and your saving yourself, that means your smart? lol Okay. Kara's playing a very good game. I doubt she makes the final but love her gameplay. I think Davie made a huge mistake by keeping Christian but we shall see. Christian can't and shouldn't be trusted. Won't be shocked if Davie goes next although I feel like Alison has to go soon. Kara is playing an amazing game, she reminds me of Danni Boatwright. She isn’t playing it for the cameras or calculating her screentime so she isn’t getting the edit she deserves. Her social game is AMAZING and she is never in the conversations to be voted off or to even be a decoy. No one is talking about her going to the end as a goat, she gets tons of information from other players. She is not playing emotional and has rolled with every blindside without being rattled. Kara and Davie are underrated legends. 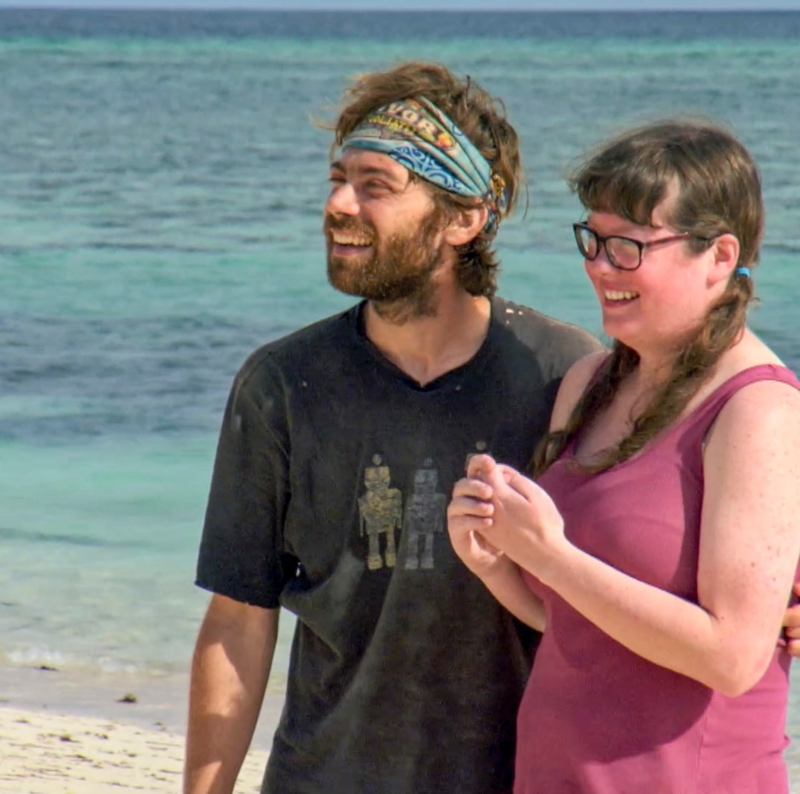 This season reminds me of Kaoh Rong in that Probst didn’t seem high on preseason it even though fans have loved it, leading me to believe we are going to get a Kara win. Glad the person being blindsided laugh it off and understand it's a game. I don't see a bitter jury this year. The edit is very good this year so they aren't giving away as much as normal. Yes, Davie did say he's using Christian as a shield but you don't want or need multiple shields. He would have had Nick. Now, because they're going to know Davie told Christian, Davie became a bigger threat. Mike & Angelina are in great shape right now because who is going to waste the time to take them out. I'm interested to see how the decision impacts Davie. Hopefully he doesn't go next. What does Christain's girlfriend look like? Why does she look like she's in high school??? Lord Gabby needs to do better in the men department. God forbid a woman on the show try and make a move without some sexist reasoning shoehorned in by fans. That could have been part of an edit OR maybe she just realized how she wasn't getting credit for anything that was being done. I think you're making more out of this than exists.